Welcome to a new era of construction management. Buildcon web-mobile app will provide you with the most precise analytics of quantities and expenses, directly from the field. Our ultimate Lean Construction software will ensure on-time delivery all of your projects with maximum effectiveness. Create an instant connection between the construction site and office. It will facilitate real-time data to enable prompt and accurate decision making. Also, it will provide monthly planning and daily tracking for maximum project performance. Forget about juggling Excel, Revit and Primavera files, confusing emails, endless notes or some outdated tools of yesterday. With Buildcon you track construction projects more precisely and hassle-free, with only a few clicks. Rely on us and we will analyze your project tracking processes to consult you on organizational changes for full digitization of your business. We will create and implement a tailor made Buildcon version to fit your processes and current software solutions. With centralized coordination and agile control focus on what really matters. Assign different persons/companies to workgroups and ensure daily progress tracking of all your projects in one place. Spare your engineers filling Excel sheets and numerous reports and let them do what they do best. Be in total control of the progress costs in real-time. Weekly and monthly management of resources and expenses will maximise value and minimise waste, which will help drive your sustainability initiatives. Together, you will achieve the optimum project results in line with the Global green mission. This state of the art app provides the latest version of plans and smart sheet anywhere at any time. In just a few clicks, you can analyse your progress, quantities and RFI’s, which are logged directly on site. Daily overview is over used! Access to an instant daily synopsis of the project, will facilitates a timely analysis and diagnoses of any issues, which managers and stakeholders can resolve instantaneously. 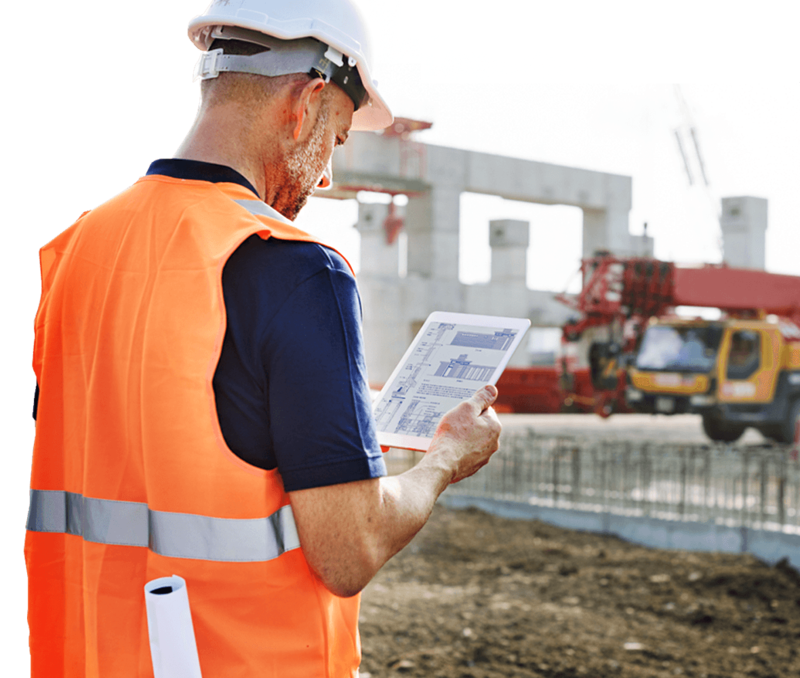 OneSheet™ are plans with assigned parts of BOQ that supervisors and field engineers effortlessly fill-in every day, by using tablets. Get BOQ, schedule and plan collected in one sheet. This superfast and simple to use tool will procure a comprehensive outlook of the projects daily. Manage tasks with photos and comments for any activity with automated daily reports. Enjoy working with RFC’s and tasks with user tagging for fastest response. Avoid using multiple software solution to facilitate your office planning, accounting, documenting and scheduling. Buildcon is an all-inclusive solution that will consolidate all the main project tasks. It will feed your office software with data and analytics instantly from the field. Buildcon has data models for all types of automated reports, benchmarking and predictions. As a construction company manager, it’s not your job to build the data models and deal with analytics - Buildson will do it for you. It will provide reports which are customizable and adjustable, that way the application tailored specifically for your needs. At top management strategic decisions are easier if you know precise metrics from the field. Data from all projects combined can provide valuable insights that can be leveraged for your future business. Steering one or more projects is a tough and challenging task. Buildcon is project manager’s “eyes and ears” on the field. No more errors, misunderstandings and avoiding of responsibilities. Significantly improved information flow leads to faster and timely reactions. One product that covers bill of quantity, cost control, progress and performance. Quantity distribution, bid management, subcontractors and suppliers management - everything needed for complete control over project. Automated daily, weekly and monthly reports easily shared with key stakeholders. With powerful and simple tools engineers get “an extra pair of hands” and more time. Reducing paperwork and finishing all office tasks in the field, Buildcon makes it easier for engineers to do the real engineering work.